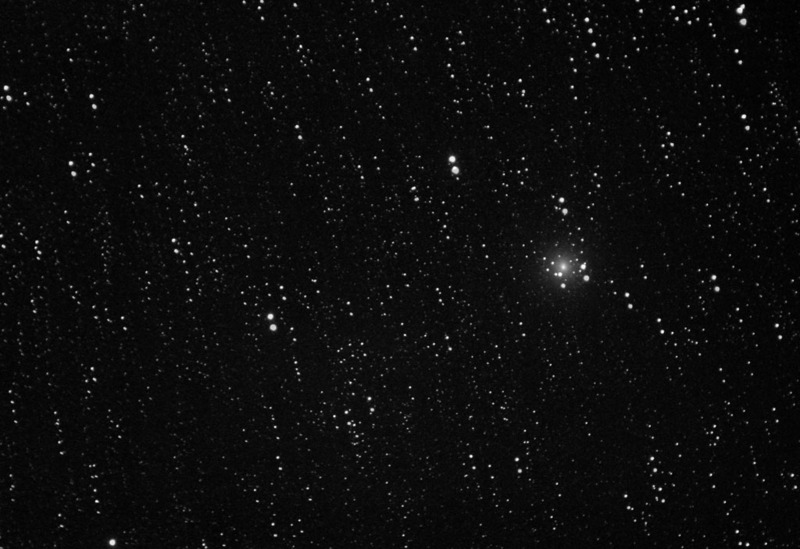 This image of Comet 8/P Tuttle was taken by Chris Newsome on the 12th December 2007. At the time the comet was in Cepheus and shone at the dim magnitude of 8.2. The image is comprised of 5x180 second exposures taken at 1600ASA on a Canon EOS through a Skywatcher 102T telescope and guided through an 80T scope with a Meade DSI camera. 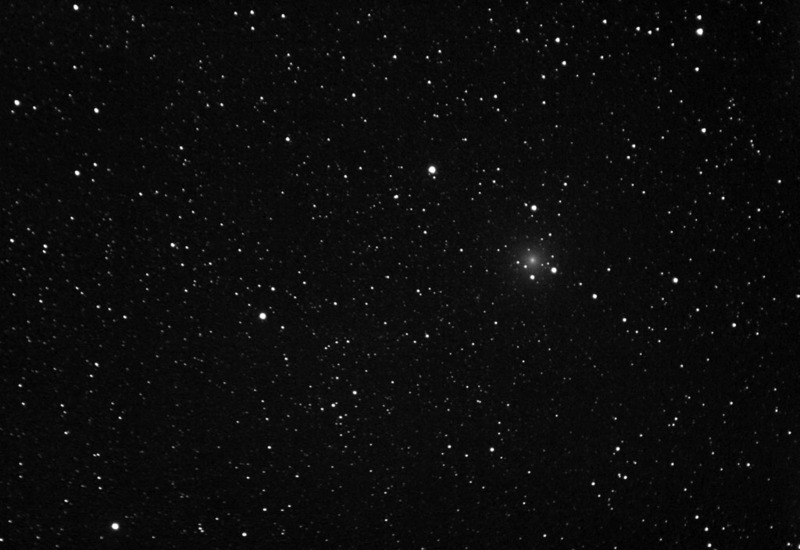 This is a greyscale version of the image of Comet 8/P Tuttle above taken by Chris Newsome on the 12th December 2007. The image was 5x180 seconds taken at 1600ASA on a Canon EOS through a Skywatcher 102T telescope and guided through an 80T scope with a Meade DSI camera. The raw exposures were combined in Maxim DL and then processed in CS2 as a greyscale image. 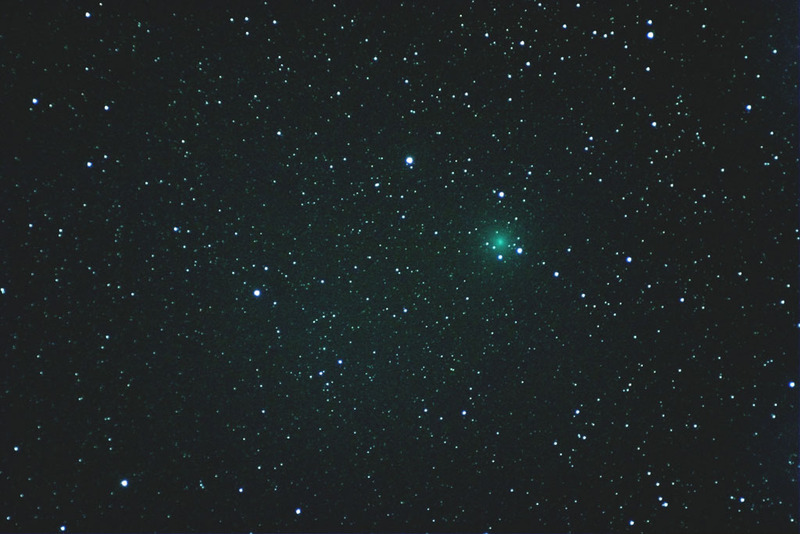 This image of Comet 8/P Tuttle was also taken by Chris Newsome on the 12th December 2007. It was taken with a CanonEOS30d and Skywatcher 102T, guided with a Meade DSI and 80T. The image is comprised of 11x180 second exposures taken at 1600ASA and 800ASA and combined on the nucleus to show the movement of the comet over a period of around 45 minutes. For the following image Chris Newsome used the same equipment as for the above two images. However this time he combined the image on the background of stars to show the movement of the comet over time. 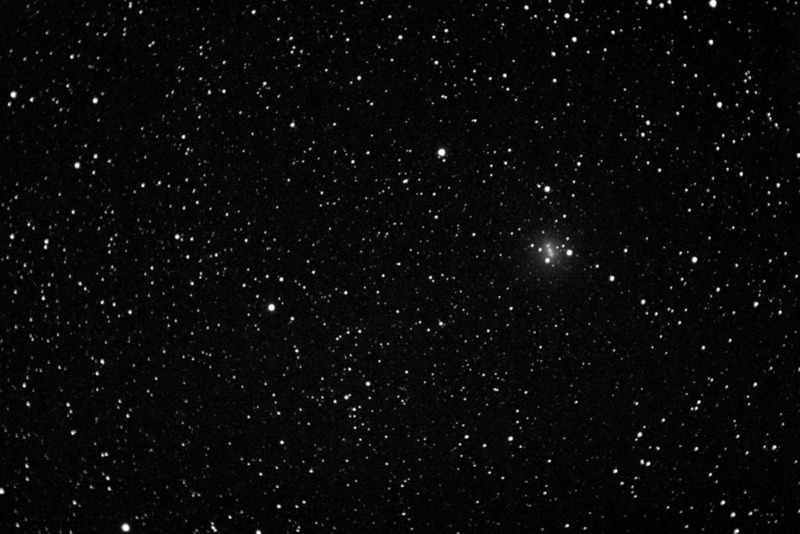 It comprises 11x180 second exposures at 800ASA and 1600ASA, combined in Maxim DL and processed in CS2.